You may have noticed that members of the press are playing the trippy, soaring game Dyad, which comes out next week. Oh, so the file is 1337 MB, is it? 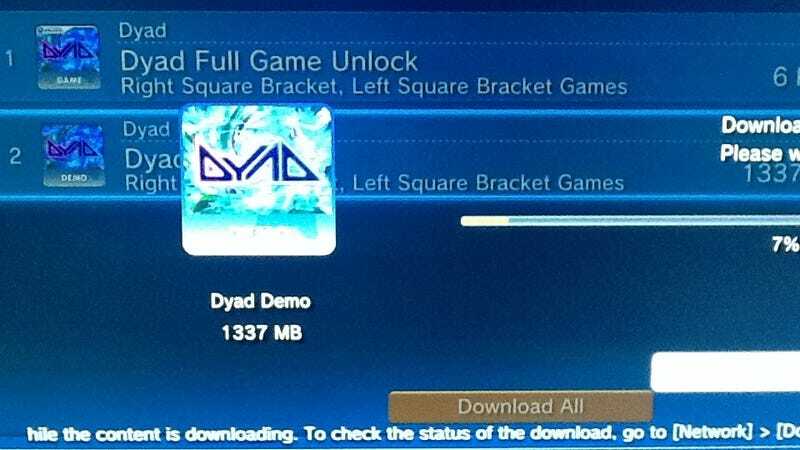 I see what you did there, Dyad. I emailed the game's creator, Shawn McGrath, to ask if that was on purpose. "Totally on purpose," he replied, with a smiley face. Well played.